Keysight Technologies in a joint demonstration with Qualcomm Technologies have achieved download speeds upwards of 4Gbps with Keysight's 5G Protocol R&D Toolset and a 5G mobile test device powered by the Qualcomm Snapdragon X50 5G modem chipset at Mobile World Congress 2018. 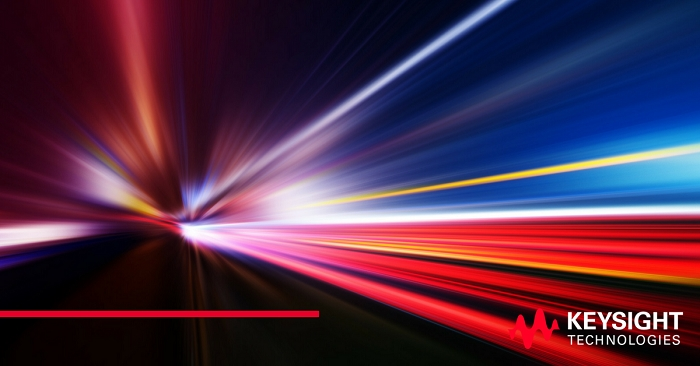 Keysight achieved these multi-gigabit speeds by aggregating eight 100 MHz carriers in the 28 GHz mmWave radio spectrum. The 5G Protocol R&D Toolset forms part of Keysight's Network Emulation Solutions portfolio, and together with the 5G RF DVT Toolset is enabling the development and test of 5G while keeping up with the evolving standards. Keysight provides the only solutions that address the entire device development workflow while scaling from sub-6 GHz to mmWave, enabling users to verify advanced 5G features such as beamforming across the global spectrum requirements. Keysight and Qualcomm Technologies are hosting the 5G demonstration of the 4Gbps data connection in their MWC 2018 booths, located in Hall 6, Stand 6G30 (Keysight) and Hall 3, Stand 3E10 (Qualcomm), Barcelona, Feb. 26 - March 1.